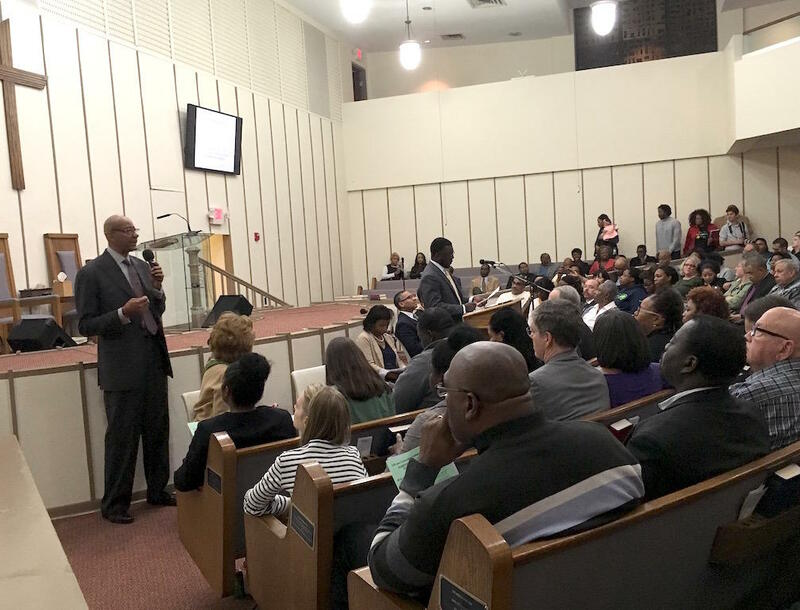 Nashville General Hospital CEO Joseph Webb address a group gathered at First Baptist Church Capitol Hill Thursday night, thanking Mayor Megan Barry for slowing down plans to close inpatient care. 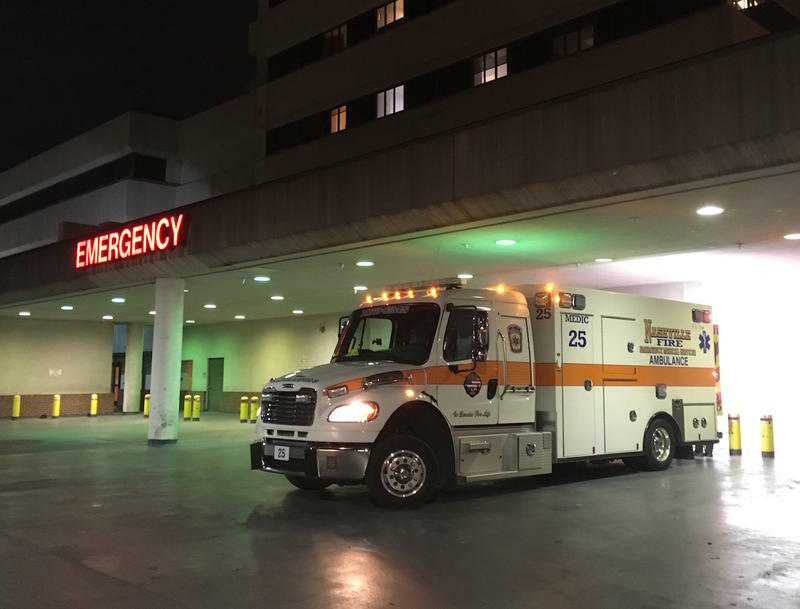 Mayor Megan Barry sent a two-page letter to the Metro Council Thursday saying she plans to take until the end of the year to come up with a new model for Nashville General Hospital. She also apologized for publicly announcing her plans to wind down inpatient care after years of failed attempts at financial sustainability. "I'm sorry that I didn't engage you and other stakeholders before any announcements or decisions were made," she wrote. "I'm also sorry for the pain and stress this has caused the hospital staff and patients who were impacted by this announcement." The mayor thanked Meharry Medical College for beginning to lead a panel to rethink indigent care in the city, but she explained her frustration that the meetings have been closed to the public. "I had hoped their work would more directly inform policy discussions," Barry wrote. "It's clear that we will have to chart our own path." 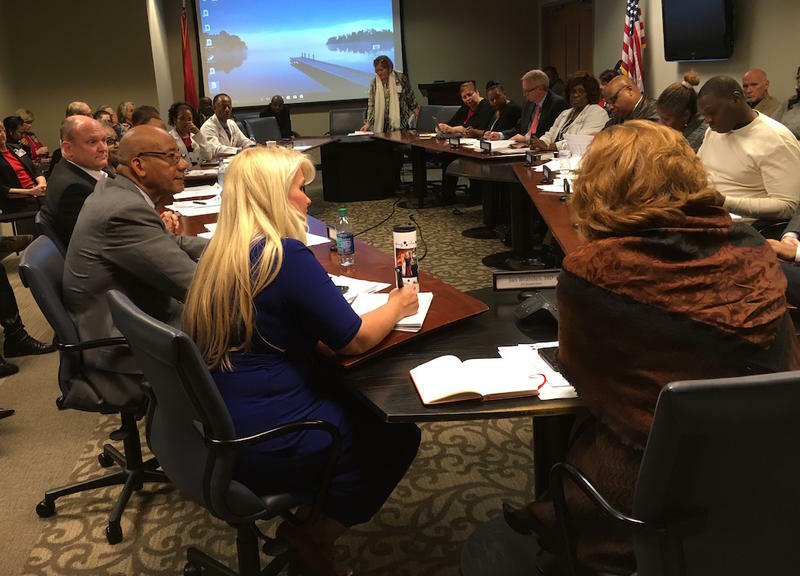 Her letter was made public just hours before a meeting promoted by Metro Council members and labeled as a "conscious conversation" about the future of General Hospital, with CEO Joseph Webb and board chair Jan Brandes scheduled to speak. At the meeting, Webb started by thanking the mayor for delaying her timeline, but he continued to fight the idea of closing inpatient care. "It makes no economic sense," he said, citing potential lost federal funding and the challenge of sending patients to hospitals around the city. "I don't see how that could be a solution." Nurse Marecha Jackson, who manages women's health services at Nashville General, is far from relieved. "Things are still in limbo," she said. "Even though the announcement now is that we're going to postpone the decision, it doesn't make the decision go away." Jackson said nurses can't afford to wait and see if they'll have a job. So many have already left that Jackson said she's had trouble staffing her unit. Drawing out the process, she said, won't make life any easier. Still, Vice mayor David Briley, who leads the Metro Council, commended Barry for being open to those concerned that closing inpatient services would hurt the city's uninsured. "The mayor listened to people in the community and heard a lot of voices that were concerned about what was seen as the initial direction of her decision," Briley said. "It takes a strong leader to both hear voices and adjust your course accordingly. So I give her great credit for seeing that." Mayor Barry still said the "status quo of operations at the hospital cannot continue indefinitely." And she has some agreement, even from the fiercest defenders of General Hospital. Rev. Jay Voorhees has long advocated for the safety-net facility and said it's possible that because of the mayor's dramatic proposal, more people are willing to make hard decisions to achieve sustainability. "I'm hopeful that what this will do is give us the space to have the conversation that we really need to have," Voorhees said. "We just have never had the political will to really do it." 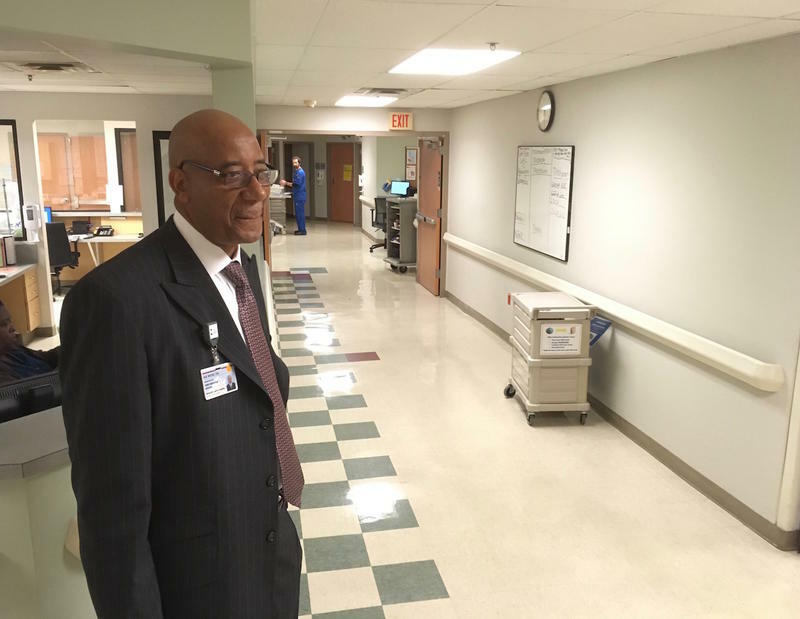 One of the Metro Council's most conservative members has joined the effort to keep Nashville General Hospital open, even if it means spending more money. 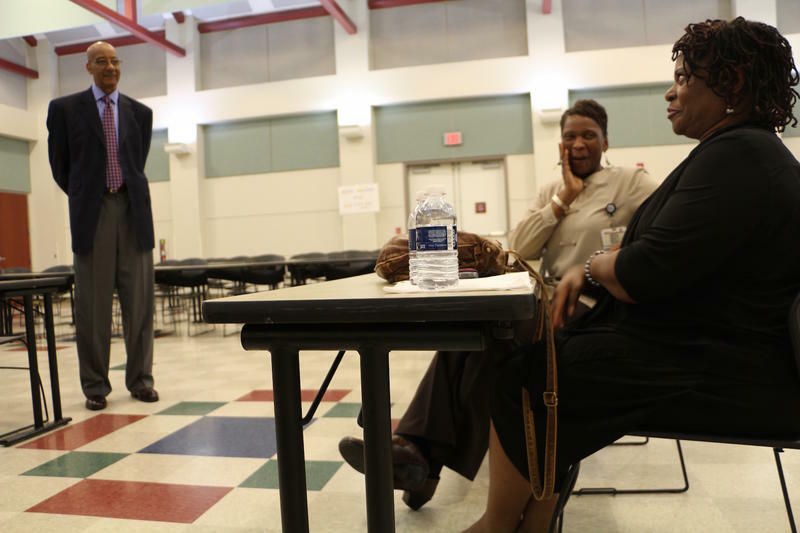 Councilman Steve Glover is proposing a ban on closure of the city's safety-net facility.